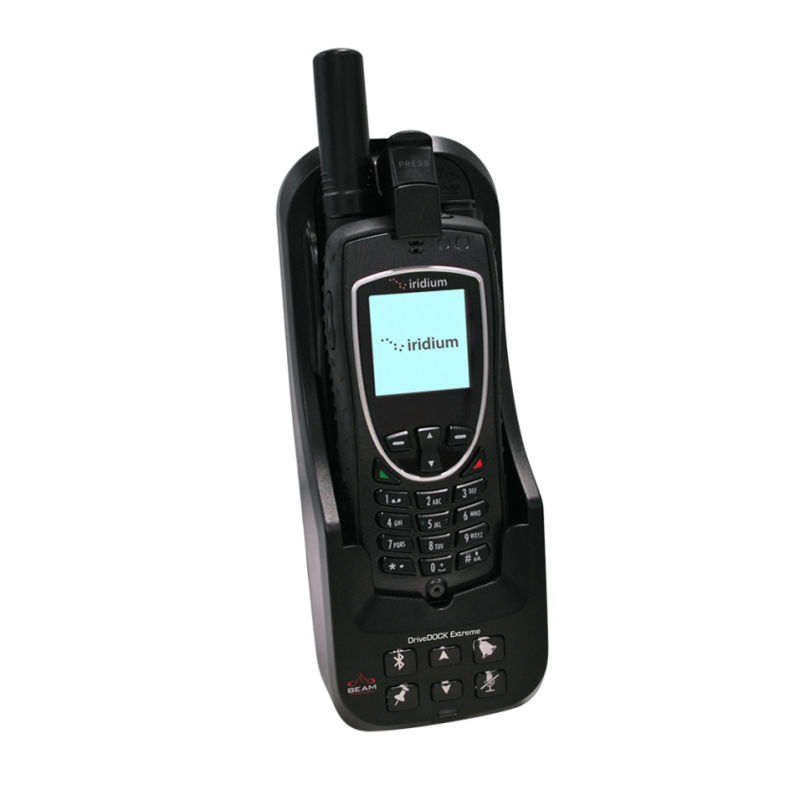 The Beam RST100B is a single-channel intelligent voice and data communication terminal. 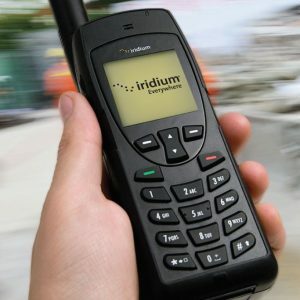 For use inside a building, motor home, boat, vessel or a fixed site location providing easy satellite communication, utilizing the latest Iridium satellite transceiver, the 9522B. 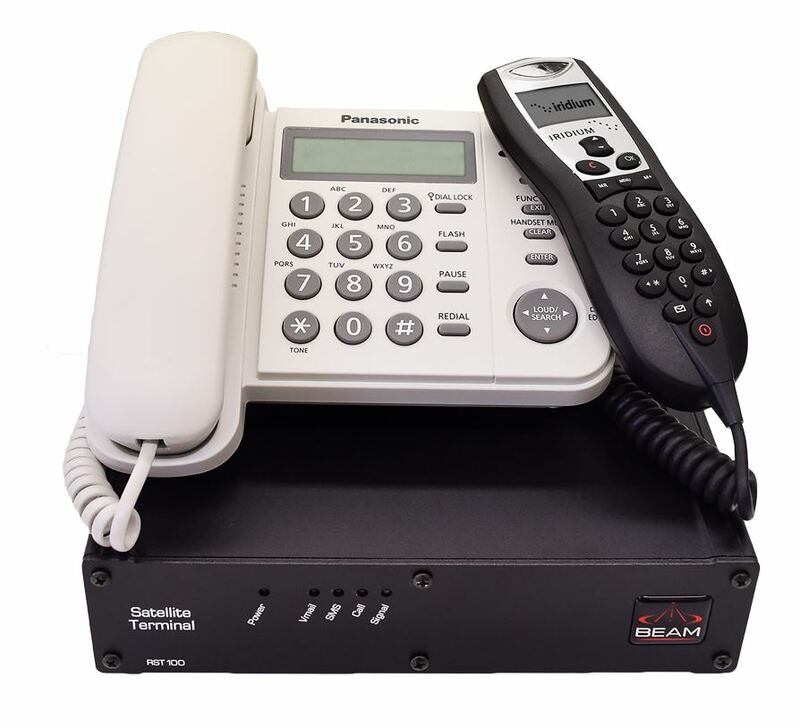 Voice communications are accessible via the intelligent POTS/RJ11 (Plain Old Telephone System) port for using up to 3 standard cordless or corded telephone handsets or for integrating with a PABX system enabling easy access from any handset connected to the PABX. 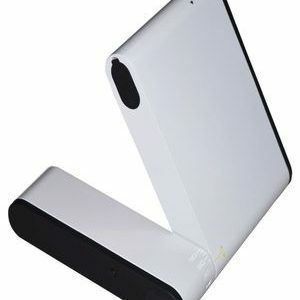 The optional compact Intelligent Handset with hang up cradle, SMS and phone book features can be used for voice calls. 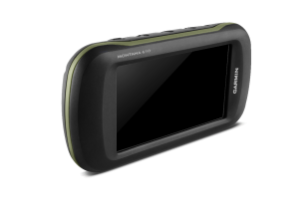 This handset is commonly used in conjunction with standard phone equipment. 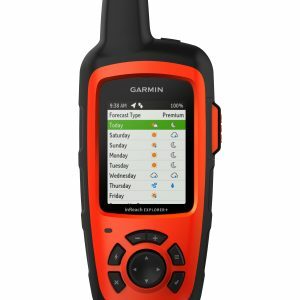 The RST100B has an intelligent processor on board for managing an advanced RJ11 port, supporting abbreviated dialing, auto-dial, speed dial, call barring, call logging as well as configurable dial, ring and busy tones that can be set to country specific tones. 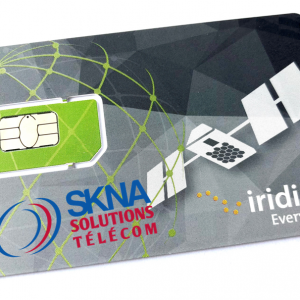 Internet, Fax and all the Iridium Data services are supported via the data port on the RST100B RemoteSAT terminal.